Help create a 35,000 acre wildlife corridor for jaguars, ocelots, mountain lions, and more. Make your donation of $5 or more an ongoing gift by checking the "Make this a Monthly Gift" box before adding it to your cart, and you will help protect a wildlife corridor each and every month. Due to a decrease of inhabitable land, jaguars, ocelots, and other predators have resorted to attacking and eating local livestock to survive. Over the past three years, 8% of Sonora's jaguar population have been killed by ranchers who felt threatened by the natural predators. At this rate, the Sonoran jaguar population could be wiped out in just a few decades. We need your help to make sure that doesn't happen. 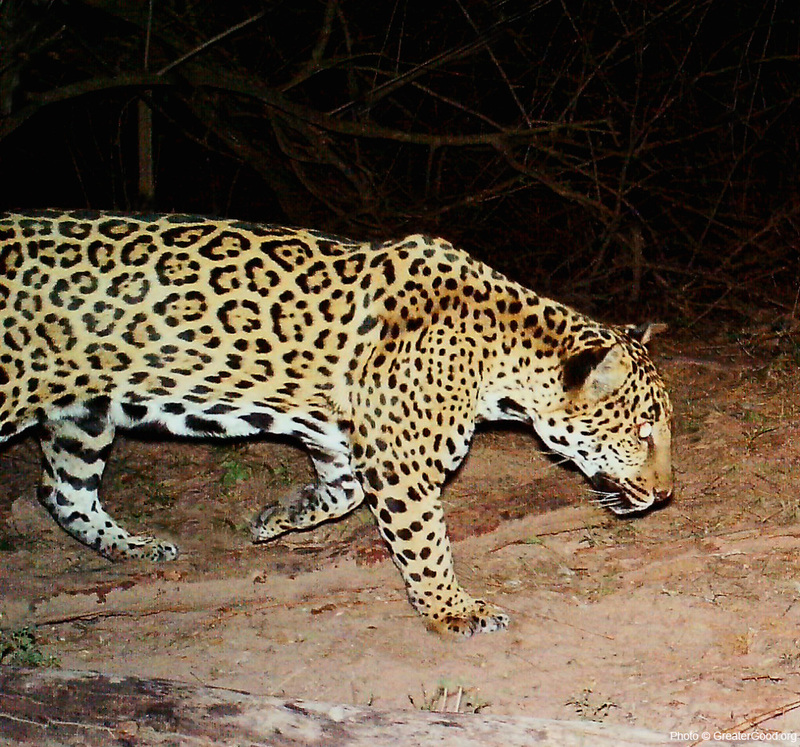 In order to save these majestic cats, GreaterGood.org is working with Primero Conservation to double the size of their 35,000-acre wildlife corridor strategically located just north of the existing Northern Jaguar Reserve in Sonora. We are working with the landowners of six connected and contiguous ranches who are agreeing to refrain from killing jaguars and other predators in exchange for training, supplies, and equipment to protect their cattle. Your donation would help us by offsetting cattle deaths with these incentives. Then these ranchers can no longer justify killing jaguars and other predators like mountain lions, ocelots, and bears. Join us to defend these incredible animals. You can help! For just $7.20 you can protect 5 acres of land for these jaguars.